This article is about the rock musician. For the hip hop pop-rap musician Jack Edward Johnson, see Jack & Jack. 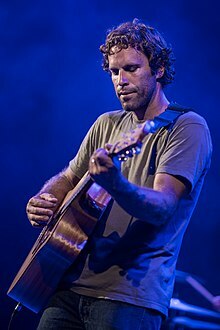 Jack Hody Johnson (born May 18, 1975) is an American singer-songwriter, multi-instrumentalist, actor, record producer, documentary filmmaker and former professional surfer. Johnson is known primarily for his work in the soft rock and acoustic genres. In 2001, he achieved commercial success after the release of his debut album, Brushfire Fairytales. Johnson has reached number one on the Billboard 200 chart with his albums Sing-A-Longs and Lullabies for the Film Curious George in 2006, Sleep Through the Static in 2008, To the Sea in 2010, and From Here to Now to You in 2013. Johnson's In Between Dreams album peaked at number 2 on the chart in 2005 and again in 2013. North Shore, Oahu, Hawaii, U.S.
University of California, Santa Barbara, California, U.S.
Johnson is active in environmentalism and sustainability, often with a focus on the world's oceans. Johnson and wife Kim created the Johnson Ohana Charitable Foundation and the Kōkua Hawaii Foundation. In 2008, Johnson adopted the concept of greening (reduce and reuse), and donated 100% of the proceeds of the Sleep Through the Static tour to the Johnson Ohana Charitable Foundation. Similarly, the proceeds from the 2010 To the Sea album tour went to All At Once, a Johnson backed collaborative of greening charities promoting fan involvement. The son of well-known surfer Jeff Johnson, Jack was born and raised on the North Shore of Oahu, Hawaii. He began to learn how to surf at the age of five. At seventeen he became the youngest invitee to make the finals of the Pipeline Masters, one of surfing's most prestigious surfing events, on Oahu's North Shore. One week later, however, his stint as a professional surfer ended when he suffered a surfing accident at the Pipeline that put more than 150 stitches in his forehead and removed a few of his teeth; this later became the inspiration for the song "Drink the Water". He appeared as a surfer in The Endless Summer II in 1994. 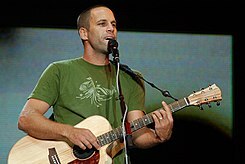 Jack Johnson graduated from Kahuku High School in Oahu. He would later attend the University of California, Santa Barbara (UCSB), and graduated in 1997 with a B.A. in Film Studies. While Johnson learned the guitar at the age of 8 and started songwriting at the age of 12, his passion for music grew when he played rhythm guitar for the band Soil (not to be confused with the heavy metal band of the same name) in college. In 1994, Zach Gill's band, Django Reinhardt, released a CD that quickly made Django a favorite band of the Isla Vista party scene at UCSB. Django was the rival of Jack Johnson's band Soil, but Gill and Johnson developed a strong friendship, eventually becoming bandmates in later years. While with Soil at UCSB, Johnson opened for then relatively unknown acts such as Sublime and Dave Matthews with far from sold out crowds at the venues. Johnson credits his songwriting influences as Bob Dylan, Jimi Hendrix, Radiohead, Otis Redding, G. Love and Special Sauce, Ben Harper, Sublime, The Beatles, Bob Marley, Neil Young, and A Tribe Called Quest. Johnson names Jimi Hendrix as his all-time favorite guitarist. 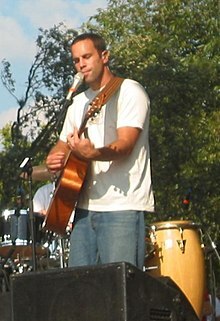 Jack Johnson's big break was writing and contributing vocals for the song "Rodeo Clowns" which was featured on G. Love's 1999 album Philadelphonic. The song would later become the most famous single on the album. In addition to his later success as a musician, Johnson is also an accomplished filmmaker. Johnson directed the surf films Thicker Than Water (2000) and The September Sessions (2002), in which he also starred. Both movie soundtracks were also products of Johnson. Johnson also starred in the 2004 surf film A Brokedown Melody. Suela released a four track demo that caught the attention of Ben Harper's producer, J. P. Plunier, who worked with Johnson to produce his debut album Brushfire Fairytales during December 2000 with Harper and his Weissenborn lap steel guitar making a guest appearance. Brushfire Fairytales was released on February 1, 2001, and led to Johnson becoming the opening act in late February 2001 for the last twenty-three cities of Ben Harper's “Innocent Criminals” tour of the United States. Johnson went back into the studio with Adam Topol (drums, percussion) and Merlo Podlewski (bass), who played on Brushfire Fairytales, and Mario Caldato Jr on production duties, to record his second full-length album On and On. It was the first album to be recorded at Johnson's Mango Tree Studio in Johnson's home town of North Shore, Oahu, and the first to be released through The Moonshine Conspiracy Records. On and On was released on May 6, 2003. The Moonshine Conspiracy Records was later changed to Brushfire Records; Johnson turned the offices and studios of his Los-Angeles based record company into a model of eco-friendliness, with solar power, recyclable CD packaging, and power-saving air conditioners. Johnson performing at the Austin City Limits Festival 2004. On April 3, 2004, Johnson and Ben Harper performed with Toots and the Maytals on Saturday Night Live (season 29, episode 16). In October 2004, Johnson returned to the Mango Tree Studio with Topol and Podlewski along with Zach Gill (of Animal Liberation Orchestra) playing accordion, melodica and piano, to record his follow-up to 2003's On and On. In Between Dreams was released on March 1, 2005. Sing-A-Longs and Lullabies for the Film Curious George is a soundtrack album by Johnson, released on February 7, 2006. The album also features Ben Harper, G. Love, Merlo Podlewski and Zach Gill. It was the first soundtrack to make it to number 1 since the Bad Boys II soundtrack in August 2003, and was the first soundtrack for an animated film to top the Billboard 200 since the Pocahontas soundtrack in July 1995. Johnson enlisted J.P. Plunier to produce his fourth full-length studio album, Sleep Through the Static. It was recorded using 100% solar energy at the Solar-Powered Plastic Plant studio in Los Angeles. The album featured Gill (keys), Podlewski (bass) and Topol (drums, percussion). Sleep Through the Static was released on February 1, 2008, and was followed by a world tour. A live album and DVD of Johnson's 2008 world tour, entitled En Concert, was released on October 27, 2009. The DVD was directed by Emmett Malloy. Johnson spearheaded the Kōkua Festivals (2004–2008 and 2010). Often occurring around Earth Day, these six years of festivals provided support for the Kōkua Hawai'i Foundation, which is a charitable organization that supports environmental education in the schools and communities of Hawaii. Kōkua Festival 2004/2005 was a DVD released by Jack Johnson Music that showcased the early Kōkua Festivals. He also participated, with Willie Nelson, Jackson Browne, Dave Matthews, Eddie Vedder and others, in the documentary Kōkua 2008: 5 Years of Change (2009), produced by Brushfire and Three Foot Giant Productions and shown on Sundance Channel. On April 17, 2012, preceding his 2012 Hawaiian Islands tour, he released the live Kōkua Festival compilation Best of Kōkua Festival. Johnson produced Animal Liberation Orchestra's fifth studio album, Man of the World, which was released February 9, 2010. The album also features vocals from Johnson. On February 1, 2010, Johnson's official website announced that his fifth studio album, To the Sea, was in the recording process at the Mango Tree Studio, with a planned worldwide release during the first week of June 2010. The website also announced an accompanying European, Australian and New Zealand tour to coincide with the album's release on midnight 31 May. The first single from To the Sea was "You and Your Heart", released on April 6, 2010. While speaking with New Zealand radio station ZM, Johnson said he is constantly aiming to build relationships with local pro-environment, non-profit groups. "We try to raise money for a lot of these groups who are doing positive things in the community. We try to focus mostly on environmental education, just trying to get kids out into nature, supporting local farms and things like that." Johnson embarked on a world tour in 2010 with Paula Fuga, a Hawaiian vocalist, playing at a range of venues across the world including Europe, New Zealand, Australia, Canada, U.S. and Japan. On February 22, 2012, Jack with John Cruz and Paula Fuga announced a 7-show acoustic tour of the Hawaiian Islands during April. At the Stan Sheriff Center on April 14, 2012, during the Pillars of Peace Hawai'i: Building Peace on a Foundation of Aloha, Johnson performed introductory music before Nobel Peace Laureate Tenzin Gyatso, the 14th Dalai Lama of Tibet, gave the speech "Educating the Heart". Better Together was one of several songs Jack performed. Johnson released From Here to Now to You with his band on September 17, 2013. On June 15, 2013, Jack and the Band performed as headliners at the 2013 Bonnaroo in Tennessee. He also played two acoustic concerts, one at London's Tabernacle in Notting Hill and the other at New York City's Allen Room at Lincoln Center overlooking Central Park, featuring songs from his upcoming album. The From Here to Now to You Tour ran from March through September 2014. In February 2017, Johnson announced a U.S. tour beginning in Chicago at the Huntington Bank Pavilion on Northerly Island on June 1 and ending with two Kōkua Hawai‘i Foundation benefit concerts at the Waikiki Shell on August 4 & 5. Also, he revealed plans to release an album in the summer 2017. Later, he added a September 10 concert for the 2017 Ohana Fest at Doheny State Beach, Dana Point, California. On September 8, 2017, Jack released his seventh studio album All the Light Above It Too, and peaked at number 13 on the Billboard chart's "Artist 100. "[not in citation given] In July 2018, Johnson released his greatest hits album "Jack Johnson: The Essentials" in Japan. On July 22, 2000, Johnson married his college girlfriend, named Kim. They have three children: two boys and a girl. Johnson lives on the North Shore of the island of Oahu in Hawaii. In an interview with Johnson, Ann Donahue from Billboard described Johnson's family life by saying "There is often trouble in balancing the life of an artist, environmentalist, and family man, but Johnson seems to have the niche for such a challenge. This time around, he's found a pace that agrees with him...bringing his family along so he can spend mornings with them sightseeing." Both Johnson and his wife decline to talk about or release any intimate information concerning their children. In 2008, Johnson and his wife Kim created the Johnson Ohana Charitable Foundation, a non-profit public charity supporting environmental, art, and music education worldwide. Jack and Kim Johnson also founded the Kokua Hawaii Foundation in 2003. Johnson and his family work hard every year at festivals and concerts alike, to raise money for causes they feel are most important. Johnson recorded a cover of John Lennon's "Imagine" for the 2007 benefit album Instant Karma: The Amnesty International Campaign to Save Darfur, which was also included on the 2009 benefit album Rhythms del Mundo Classics. In talking about Johnson and his career choices, Rolling Stone wrote: "It is a typically generous move from Johnson, who has used his multi-platinum success to support causes he cares about." Although the Johnson Ohana Charitable Foundation is a non-profit organization that "focuses on environmental, arts and music education", it has raised more than $750,000 from 2009 to 2010 to give away. Johnson was in Osaka, Japan on his To the Sea 2010 World Tour at the time of the 2011 Tōhoku earthquake and tsunami in northern Japan. He was in a hotel with his family when it struck. After having to postpone the rest of his tour, he donated $50,000 to GlobalGiving's Japan Earthquake and Tsunami Relief Fund. Johnson's Ohana Charitable Foundation has also supported Little Kids Rock, a national nonprofit that works to restore and revitalize music education in disadvantaged U.S. public schools. He also decorated a guitar for Little Kids Rock to auction to raise funds for its program. Johnson combines baritone vocals with laid-back acoustic instrumentation. He occasionally uses reggae, hip-hop, and soca singing styles, as well as electric instruments. ^ Caroline Sullivan (May 27, 2010). "Jack Johnson: To the Sea". The Guardian. ^ Nate Chinen (February 3, 2008). "Making It Mellow and Keeping It Green". New York Times. ^ "Jack Johnson: Awards". AllMusic. Retrieved December 22, 2014. ^ Sekula, Sarah. "Musician Jack Johnson is as green as it gets". usatoday. Retrieved October 8, 2015. ^ Kezon, Lauren. "Musicians Changing 'Charity'". CBS Local Media. Archived from the original on April 8, 2015. Retrieved April 8, 2015. ^ "All At Once". AllAtOnce.org. 2008. Retrieved April 8, 2015. ^ "Jack Johnson Biography". Music.aol.com. Archived from the original on April 29, 2012. Retrieved December 6, 2015. ^ a b c d e f "Jack Johnson Interviews". Archived from the original on October 26, 2009. Retrieved February 21, 2013. ^ "Cover Story: Jack Johnson – The Dude Abides". Archived from the original on July 24, 2009. ^ "The Endless Summer 2 (1994): cast and crew". IMDb. Retrieved December 22, 2017. ^ Kettmann, Matt (Spring 2008). "Surfing Singer Jack Johnson Stays Mellow" (PDF). UC Santa Barbara Alumni Association. Archived from the original (PDF) on October 18, 2014. Retrieved October 10, 2014. ^ "TV Guide Bio". Retrieved October 10, 2014. ^ Comingore, Aly (August 28, 2014). "Zach Gill Interviews Jack Johnson: The Longtime Friends Talk Love Songs and Soul Carving". Santa Barbara Independent. Santa Barbara, California. Retrieved June 15, 2017. ^ a b Bachelder, Audrey (April 30, 2015). "It's Better When They're Together: Kim and Jack Johnson Share UCSB Stories". Daily Nexus. University of California, Santa Barbara (UCSB). Retrieved June 15, 2017. ^ "Jack Johnson Music – Band". Jackjohnsonmusic.com. Retrieved September 22, 2010. ^ "Jack Johnson Plugs in for Electric New Disc 'To the Sea'". Rolling Stone Music. May 24, 2010. Retrieved June 13, 2013. ^ "Harper takes both sides | The Honolulu Advertiser | Hawaii's Newspaper". The Honolulu Advertiser. April 21, 2006. Retrieved September 7, 2015. ^ Serpick, Evan (June 14, 2007). "Rock & Roll: Tours - Tour Industry's Green Revolution". Rolling Stones (1028): 13–14. ^ "Jack Johnson En Concert – Brushfire Records". Brushfirerecords.com. July 8, 2009. Archived from the original on December 6, 2010. Retrieved September 22, 2010. ^ "Kōkua 2008: 5 Years of Change". IMDb. 2009. Retrieved June 4, 2011. ^ "Kōkua 2008 company credits page". IMDb. Retrieved June 4, 2011. ^ "Jack Johnson & Friends: Best of Kokua Festival: Amazon.de: Musik". Retrieved August 30, 2012. ^ Johnson, Jack (February 22, 2012). "Best of Kōkua Festival". Brushfire Records. Retrieved April 19, 2012. ^ Johnson, Jack (February 22, 2012). "Kōkua Hawaii Foundation". Kōkua Hawaii Foundation. Retrieved April 19, 2012. ^ a b "New Album and World Tour". www.jackjohnsonmusic.com. February 1, 2010. Retrieved February 3, 2010. ^ "New album, 'To The Sea'". March 3, 2010. Retrieved March 24, 2010. ^ "Jack Johnson op MySpace Music – Gratis gestreamde MP3's, foto's en Videoclips". Myspace.com. Retrieved September 22, 2010. ^ "Interview with ZM's Polly Gillesipe". May 2010. Archived from the original on May 24, 2010. Retrieved June 15, 2010. ^ "Jack Johnson announces new live album & Hawaiian Islands tour". News Archives. Jack Johnson Music website. Retrieved March 13, 2012. ^ Tour Archive. "Jack Johnson Tour Archive". Jack Johnson Music website. Archived from the original on June 19, 2013. Retrieved June 19, 2013. ^ Brushfire Records. "Jack Johnson Hawaiian Island Tour 2012". Vimeo. Retrieved September 11, 2013. ^ News Archives. "April 03, 2012, The Dalai Lama visits Hawaii, Jack to Perform at Pillars of Peace Event". Jack Johnson Music website. Retrieved April 20, 2012. ^ "April 18, 2012, Jack Honored to perform for His Holiness the Dalai Lama". News Archives. Jack Johnson Music website. Retrieved April 20, 2012. ^ "April 2, 2012, Media – Pillars of Peace". Media. Pillars of Peace. Retrieved April 20, 2012. ^ "Kamehameha Schools students welcoming the Dalai Lama to Honolulu, Hawaii, on April 13th, 2012.wmv". Pillars of Peace video. YouTube. Retrieved April 20, 2012. ^ "Dalai Lama share message of peace in Hawaii". Archives. Tibetan Sun website. April 15, 2012. Retrieved April 20, 2012. ^ Kerr, Keoki (April 16, 2012). "On first full day in Hawaii, Dalai Lama shares message of peace with students". Hawaii News Now (KHNL, KGMB, KFVE) website. Retrieved April 20, 2012. ^ "Jack and the Band Last Minute Headliners at Bonnaroo". News Archives. Jack Johnson Music website. Retrieved June 19, 2013. ^ Crothers, C. Taylor. "2013 Bonnaroo Photos, Saturday: Jack Johnson – Bonnaroo 2013". Bonnaroo website. Archived from the original on April 26, 2013. Retrieved June 19, 2013. ^ "Win a Chance to See an Acoustic Evening with Jack in London & NYC!". News Archives. Jack Johnson Music website. Retrieved June 11, 2013. ^ News Archives. "New Album out September 17th". Jack Johnson Music website. Retrieved June 11, 2013. ^ "New Single, I Got You". News Archives. Jack Johnson Music website. Retrieved June 11, 2013. ^ "Jack Johnson announces U.S. tour and talks forthcoming new album: Pressparty". Pressparty. Retrieved February 10, 2017. ^ "Jack Johnson Summer Tour Kickoff!". News Archives. Jack Johnson Music website. May 31, 2017. Retrieved June 15, 2017. ^ "Johnson to perform two Waikiki Shell concerts". Honolulu Star-Advertiser. April 14, 2017. Retrieved June 15, 2017. ^ "2017 Ohana Dana Point". Retrieved June 15, 2017. ^ "Top 100 Artists Chart". Billboard. Retrieved September 21, 2017. ^ "ザ・エッセンシャルズ - ジャック・ジョンソン". ジャック・ジョンソン (in Japanese). Retrieved September 3, 2018. ^ "Jack Johnson on his upcoming Hawaii shows". Hawai'i Magazine. October 21, 2009. Retrieved September 22, 2010. ^ Donahue, Ann (2010). "YOU DON'T KNOW JACK JOHNSON". Billboard. 122 (19): 12–14. ^ "It Ain't Easy Being This Mellow". Men's Journal. June 30, 2008. Archived from the original on May 20, 2012. Retrieved August 30, 2012. ^ Edwards, Gavin (2010). "Jack Johnson's L. A. Beach Party". Rolling Stone. 1107: 19. ^ "Jack Johnson". Little Kids Rock. Archived from the original on January 14, 2014. Retrieved January 13, 2014. ^ "JACK JOHNSON SUPPORTS RELIEF & RECOVERY EFFORTS FOR HURRICANE SANDY". Jack Johnson Music website. Retrieved June 11, 2013.